There is an industry group called the Atlantic Seaboard Wine Association (ASWA) that is trying to ease these headwinds. 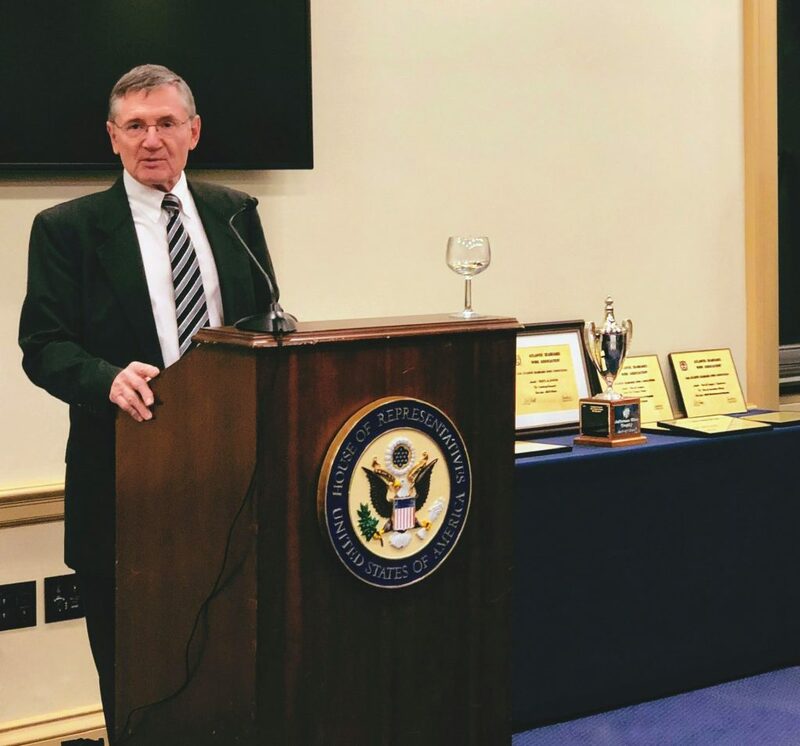 I spoke with its president, Grant Crandall, shortly after attending their annual Congressional Wine Caucus event that celebrates the winners of the ASWA’s yearly Wine Competition. Atlantic Coast Wine Association President Grant Crandall. At the event I was able to taste the winning wines from Virginia and Maryland. The conversation was enlightening and encouraging, and what follows are the lessons and insights I got from the interview, as well as notes the wines from the Congressional event that I thought merited mentioning. The ASWA was founded in 1973 as the Vinifera Wine Growers Association with the mission to promote the planting and production of vitis vinifera grape varieties on the East Coast. This classification of grape types includes the most common grapes found in wines produced around the world today today – think cabernet sauvignon, chardonnay, sauvignon blanc, syrah, pinot noir and many more (estimates range between 5,000 and 10,000 different varieties). Because Vinifera varieties were widely considered to be superior to other grapes that get made into wine in 1973, it was believed that East Coast wines needed to be made from vinifera in order to be world class and to be considered world class by others (the veracity of that argument is an on-going and controversial debate). By 2008, about three-quarters of wine production on the East Coast was from vinifera and the Vinifera Wine Growers Association was ready to declare victory. But in doing so it recognized a problem: they were not done helping improve the quality of East Coast wine, and they were not done promoting East Coast wine. So, they rebranded that year as the ASWA with a dual mission: help wineries improve their wine, and then promote them outside the region. The ASWA undertakes a number of different efforts to execute its mission. First, it organizes the largest competition for East Coast wines in the world. I have to admit to being a general critic of wine competitions, so I pressed Grant a bit on theirs’ and, to be honest and blunt, I don’t hate it. First, they get judges that are qualified to taste East Coast wines. This means people who are experienced with the East Coast’s varieties – not just cabernet franc, but also more unusual varieties like tannat and petit manseng – and know how to judge them without having to compare them to varieties they know better but aren’t grown much in the East Coast. The judges also know the regions, and therefore know how to place a particular wine within the context of its regional standards. And, they go to great length to promote the winners. The idea is the competition, though it crowns winners, rises the tide for all East Coast wineries because of the follow-through that ASWA undertakes, which benefits more than just the winning wineries. See number three below for more detail. Second, it organizes the only regional wine association event in Congress, which it does in partnership with the Congressional Wine Caucus. The event brings together members of the Caucus, and competition winning wineries, and other industry and media people. Third, it takes the winning wines to the annual Unified Wine and Grape Symposium in Sacramento, which is one of the largest industry gatherings in the United States and spotlights them at a few events that are part of the Symposium. While in California, they also give a presentation at UC Davis’s viniculture and oenology department on grape growing and wine production on the East Coast, appear on several wine-related radio talk shows, host a few winemaker dinners, present the wines to the San Francisco Chronicle and host a few public tastings. The goal is to spread awareness and appreciation of East Coast wine through multiple forms of exposure and engagement. Forth, the ASWA works with journalists to promote coverage of the region. While this work is spottier, it has led to a few victories, most notably the inclusion of eight East Coast wines in the International Wine Review’s rosé edition, several of which did quite well in the blind tasting, and an article on East Coast wines and spirits in Spirits Magazine. And finally, it works to help East Coast wineries improve both their wine and their business practices. By bringing together wineries from up and down the Atlantic seaboard at industry events and through ad hoc efforts, it is helping the industry compare notes, learn from each other and form partnerships in ways that drive quality. Further, they enlist volunteer business advisors, e.g. accountants and tax lawyers, that help wineries with the business side of things. The level of cooperation seems high compared to the global industry standard. All told, this is a fair amount of work for a small organization with a limited budget. The wine industry on the East Coast is growing exponentially, and though the ASWA doesn’t draw causational lines between its work and the industry’s growth, it is not hard to imagine that it has had real impact. After my conversation with Grant, I feel more optimistic about the wine industry on the east side of the country because, with the amount of national and global competition in the wine market, it will take more than good wine for the East Coast to advance itself, and the kind of activities undertaken by ASWA help to check several important boxes required to advance. I will be interested in following the work of ASWA and the wineries that participate in its activities as I see ASWA as an indicator of where the industry is going. There was a lot of wines at the ASWA/Congressional Wine Caucus event, so I focused on those in my Cork Report area of responsibility: Maryland and Virginia. The wines listed below are those that I found compelling and recommend trying. Boordy Vineyards 2015 Landmark Reserve (unknown grape make-up): It’s a bit generic in its youth (this will really improve in five years), but the structural elements of acid, tannin and alcohol seem on a path to full integration that suggests a promising future. Catoctin Breeze Vineyard 2015 Estate Cabernet Franc (100% varietal): Slightly heavy-handed with the oak, but it’s still quite nice. Catoctin is in the leading pack of cabernet franc produces in the Mid-Atlantic. For several years now, they have managed to find a wonderful balance of fruit and herbaceous flavors that spotlights the variety without over or under emphasizing the varietal typicity. The weight and tannin development of the 2015 is progressing nicely, and I love the savory finish. 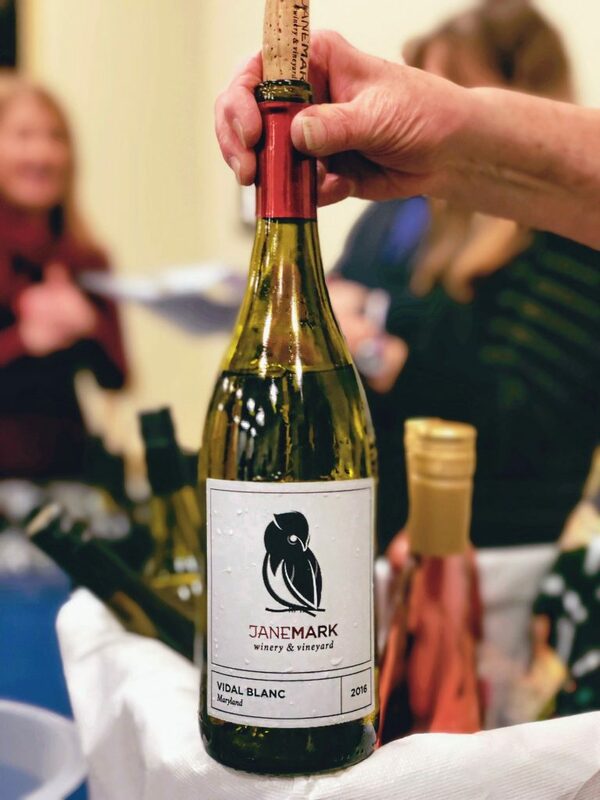 Janemark Winery & Vineyard 2016 Vidal Blanc (86% vidal blanc, 14% albariño): Bone dry with great texture and bright acid. The structure is surprisingly weighly for its variety, but it retains vidal’s slightly twitchy feel. It offers lively citrus and minerality. Linganore Wine Cellars 2016 Petit Verdot (100% varietal): Often times I find East Coast petit verdot to be either too acidic, or insufficiently acidic. This Linganore hits the acid bullseye, and delivers it with a lovely peppery compliment to the generous raspberry, strawberry and wet soil notes. It borders on elegant, which is a rare find for the variety. Barboursville Vineyards 2017 Viognier Reserve (100% varietal): While most fleshy, it’s just rough around the edges enough to remain defined while sharp acid keeps it focused. Apricot, pear, pineapple and green apple define the flavor profile. Casanel Vineyards & Winery 2016 “K2” Red Wine (40% merlot, 33% cabernet franc, 13% cabernet sauvignon, 7% carmenere and 7% petit verdot): Very easy drinking with a nice balance between earth, fruit and structure. The tannins are slightly bitter, but it works in the blend. I can see this a good pairing with marinara foods like pizza and pasta. Horton Vineyards 2016 Pinotage (unknown grape make-up): Not much experience with the variety, but it’s easily recognizable as quality wine. The fruit is very purple in nature, and it offers a lot of florals. The structure is nice, and it’s a well-built wine. It really grew on me, and it promises to be a versitle wine for food pairing. Muse Vineyards 2015 “Thalia” White Blend (68% roussanne, 28% marsanne and 4% viognier): Quite pure with nicely balanced acid. Styled after comparable blends from France’s Southern Rhone Valley, it offers some similarity in its tropical and floral notes, but is more restrained. 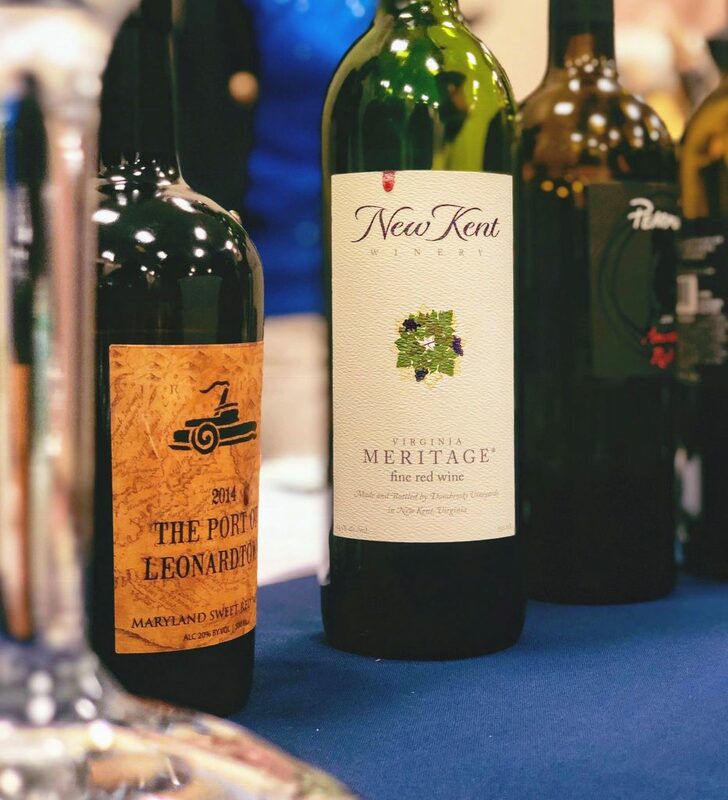 New Kent Winery NV Meritage (42% cabernet sauvignon, 28% merlot, 16% cabernet franc and 14% petit verdot): Surprisingly floral and pretty, it offers delicate strawberry and kiwi that balances well with sweet potpourri. The finish is a really engaging combination of earth and savory flavors. A challenging wine to describe. Pearmund Cellars 2016 Cabernet Franc (unknown grape make-up): Another top-notch cabernet franc that delivers its varietal characteristics with class: pepper, cherry and herbaciousness. The structure is very nice right now with great acid and slightly gritty tannin. Pollak 2015 Meritage (45% cabernet franc, 40% merlot and 15% petit verdot): Very nice depth, but this demands another three-plus years of cellaring, if not at least five. Lots of ripe red and black fruit now, it has spice and earth flavors and aroma that need time to push their way to your senses. Picking up trace amounts of sweet leather and dark cocoa. Stinson Vineyards 2017 Sauvignon Blanc (100% varietal): Wonderfully bright on the nose, it’s both well-balanced and palate filling with striking acid. It delivers clean citrus, nice minerals and smoky flint.